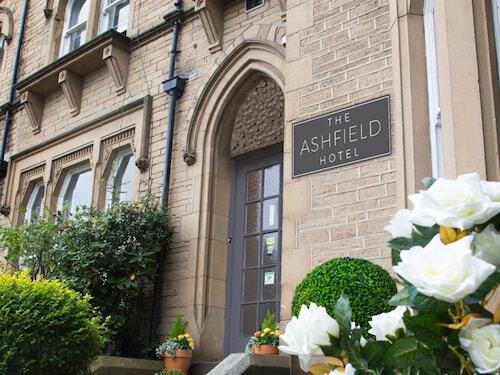 Situated in Huddersfield, this hotel is 1.4 mi (2.2 km) from Greenhead Park and 2.7 mi (4.4 km) from John Smith's Stadium. Magic Rock Brewing Co. Ltd and Huddersfield Town Hall are also within 3 mi (5 km). A trip to Huddersfield Town Hall is a fantastic way to make the most of your travel time. To find it, stop at the much-loved city of Manchester before making your way to Huddersfield, about 20 miles (32 kilometers) away. Are you only staying for a short visit? 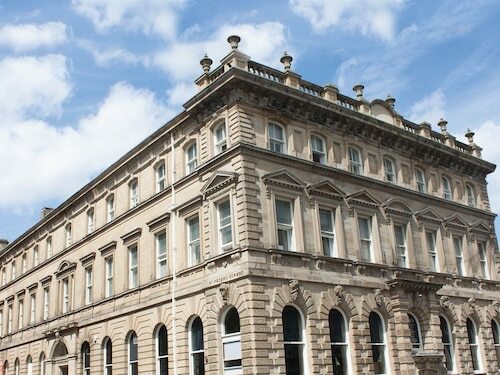 Book your room at one of the 7 hotels that are located within a short drive of Huddersfield Town Hall. 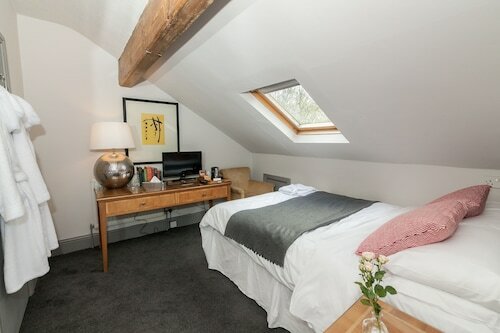 Only 0.6 miles (1.0 kilometer) away, you will be able to pack it in for the night at The Cambridge Hotel. Some other choices are the Edgerton Guest House, 0.7 miles (1.1 kilometer) away, and The New Huddersfield Hotel, 0.2 miles (0.3 kilometers) away. Everyone likes a bargain, and thankfully you won't have to venture too far to find one. 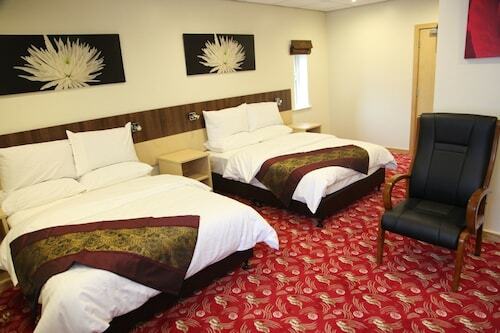 There are several economical hotels within easy driving distance. 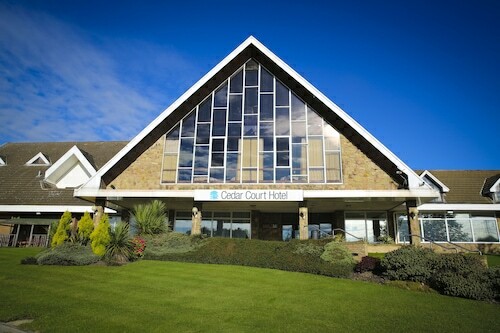 You can take a look at the Durker Roods Hotel and the Days Inn Bradford M62. Some think that the best things in life should be free. That is open for debate, as the deluxe hotels just a short drive from here will certainly make for some lasting memories. 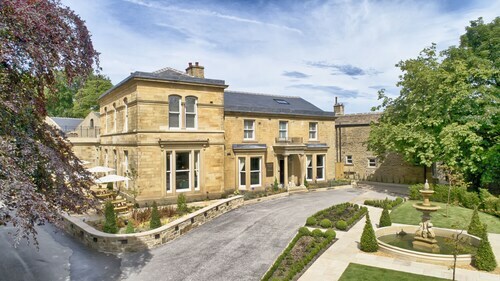 You may want to enquire about rooms at The Lodge at Birkby Hall and Cedar Court Huddersfield/Halifax. You'll soon find out that Merrie England Coffee Shop Ltd (183 Queensgate Market, Huddersfield), is just 0.1 miles (0.2 kilometers) away, and is a popular place to get a coffee and prepare the day's itinerary. 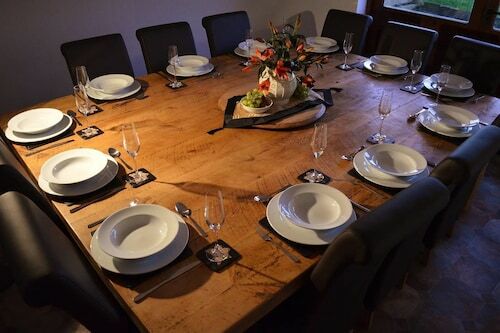 You can indulge in a larger bite of the area's culinary scene at The Rock Cafe (11 - 13 Ramsden St Opp Piazza, Central Huddersfield, Huddersfield). Enjoy what's being exhibited at Huddersfield Art Gallery. Add a taste of the arts scene to your getaway by attending a play at Lawrence Batley Theatre. You'll likely hear people refer to Mecca Bingo Huddersfield, a significant facility that hosts conferences. Grosvenor Casino Huddersfield offers its guests memorable evenings full of fun and excitement. You can enjoy a bit of family time in some green spaces without ever leaving the city limits at Greenhead Park. It's so simple to jump on a train when heading to Huddersfield Town Hall. The closest station, Huddersfield, is a mere 0.3 miles (0.5 kilometers) away! 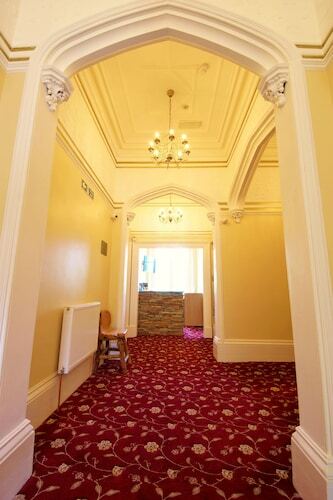 How Much is a Hotel Room in Huddersfield Town Hall? Hotels in Huddersfield Town Hall start at $43 per night. Prices and availability subject to change. Additional terms may apply.